UmiDigi Crystal is a stripped-down variant of the bezel-less Umidigi Crystal Pro. It is similar to the Crystal Pro, but with half the memory and a fourth of the built-in storage. UmiDigi Crystal is also equipped with a less powerful processor. UmiDigi Crystal has the same ultra-thin bezels and all-glass Lumia Crystal Body of the Pro. It has a 5.5-inch display with 1080 x 1920 pixels resolution and 2.5D curved Corning Gorilla Glass 4 covering for the front. The back is also covered on 2.5D curved glass. UmiDigi Crystal sports a 13 megapixels camera and a 5 megapixels camera on the back. You also get a 5 megapixels camera for taking selfies. UmiDigi Crystal runs Pure Android 7.0 (Nougat) on a 1.5GHz quad-core processor with 2GB RAM. It offers a 16GB built-in storage, which you can expand by up to 256GB via a microSD card. UmiDigi Crystal supports Bluetooth 4.0, Wi-Fi, GPS, USB Type C, and LTE. The phone supports LTE on MTN, 9Mobile, NTel, Smile, and InterC in Nigeria. 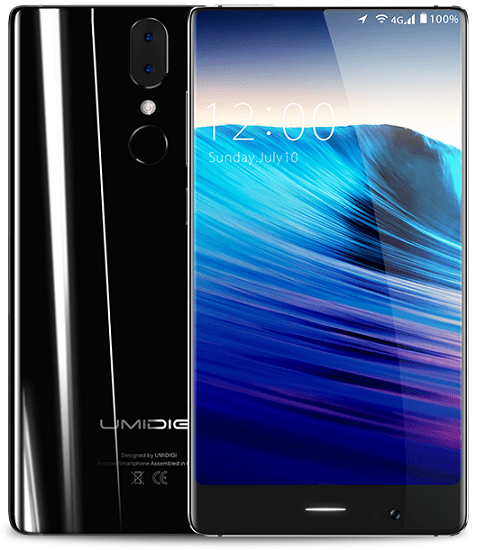 Presale for the UmiDigi Crystal begins August 15, 2017. Price starts at $99. UmiDigi Crystal starts shipping August 20, 2017. The UmiDigi Crystal may endup selling on Jumia Nigeria as some of the older models from the company are currently being offered by an international third party seller. When that happens, Umidigi Crystal price in Nigeria should range from 45,000 Naira and 75,000 Naira.